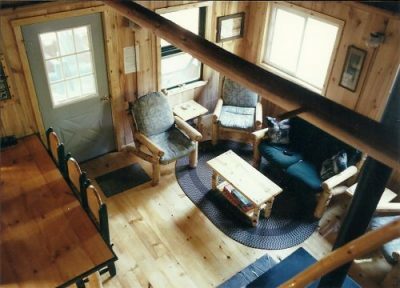 In keeping with the tradition of the Allagash, our cabins are kept rustic, yet very homey and comfortable. 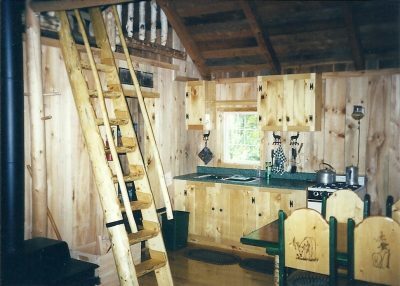 Our log lodge and guest cabins were all hand made on site with a combination of logs and rough sawn boards. 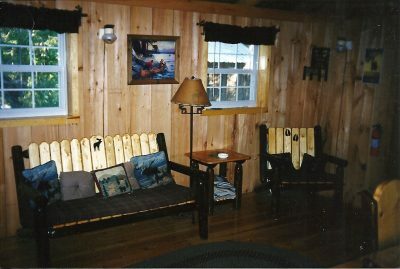 The interiors are done up in knotty pine floors and walls and hand made log and pine board furniture. 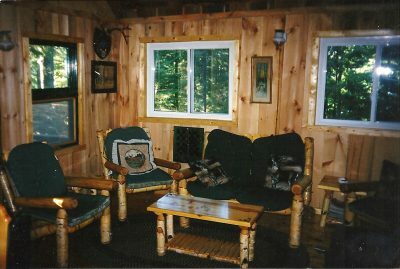 Each cabin has an animal theme and is decorated to fit that theme. 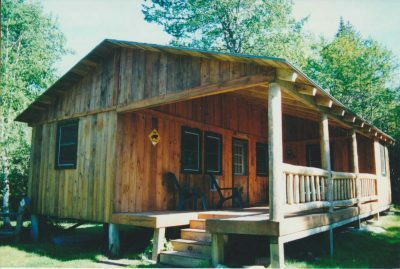 Our cabins have colorful names like the “Bear’s Den”, “Fishing Hole”, “Deer Yard”, and “The Moose Crossing”. 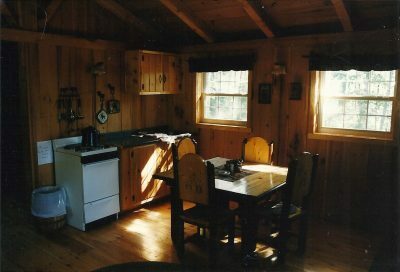 The cabins are equipped with kitchens for housekeeping and have propane stoves, sinks (hand carried water only), and all the pots, pans and utensils that you will need. Refrigeration is by ice that we provide for you. 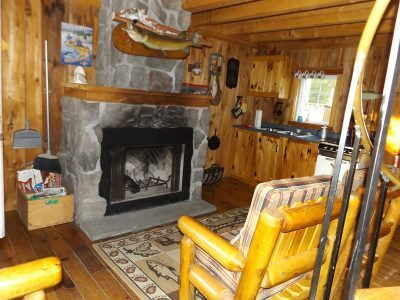 Heat is provided by either wood stoves or propane furnaces. 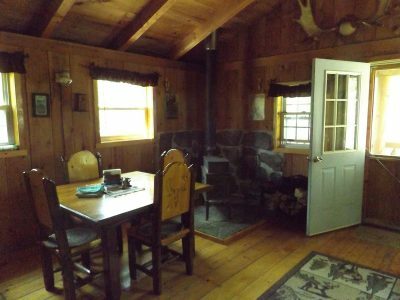 One cabin has a wood burning fireplace and is available on a first come first serve basis. 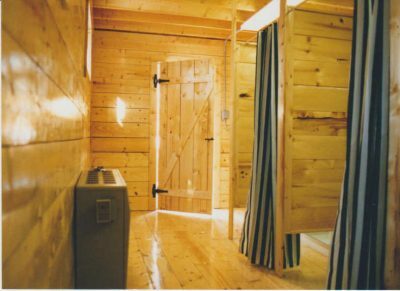 Two of the cabins have an electrical receptacle in them and an electric light although all the cabins have propane gas lights. We have 24 hour power now provided by generator and batteries. We provide a fitted bottom sheet and a pillowcase, so plan to bring your sleeping bag or blankets. 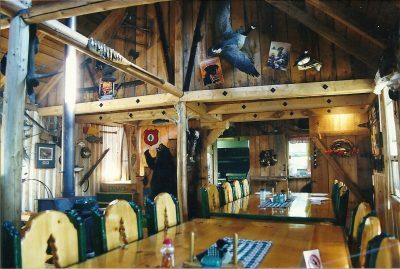 Many choose to have their meals provided for them in the rustic atmosphere of our log lodge. We offer packages that include just suppers or all your meals. 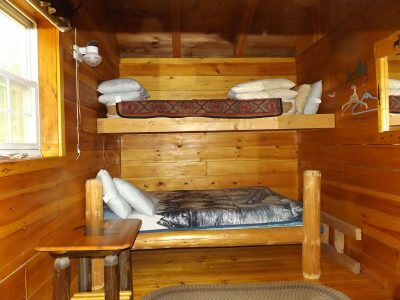 You can choose to provide your own meals in the privacy of your cabin if you wish. 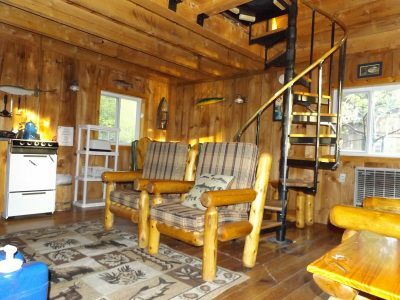 All of our cabins have a view of the lake and access to the lake from their cabins. 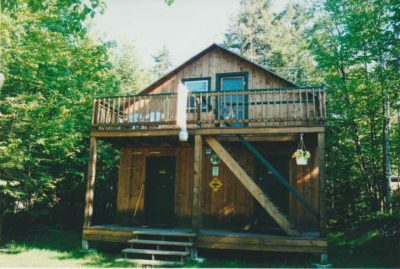 All of our packages include the use of our rowboats, canoes and kayaks. Guests can enjoy swimming off the wharf or out to our floating dock. 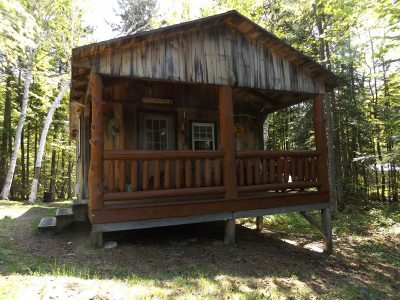 Some of our cabins are more isolated than others, but we are the only cabins on the entire 375 acre lake. 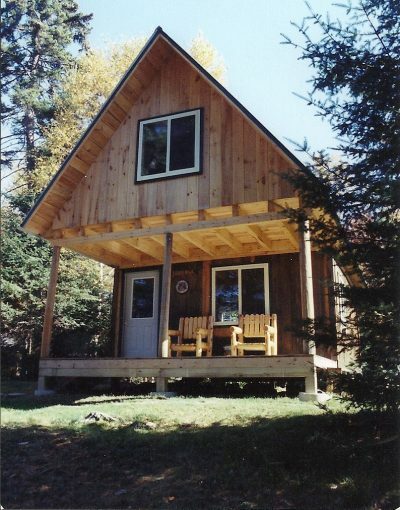 Your neighbors will include deer, bald eagles, raccoons, moose, and yes, bears. But don’t fear, we have not lost a guest yet. 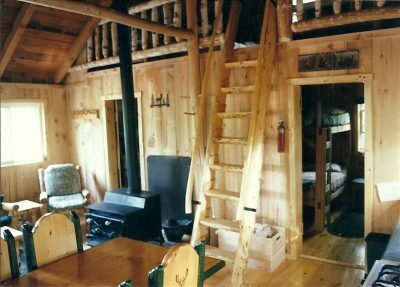 In keeping with the tradition of the Allagash our cabins are kept rustic yet very homey and comfortable. 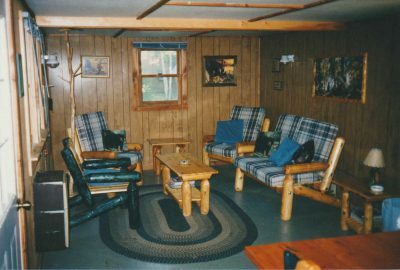 Our log lodge and guest cabins were all hand made on site with a combination of logs and rough sawn boards. 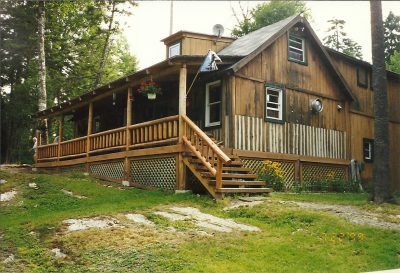 © 2019 Loon Lodge. All Rights Reserved.